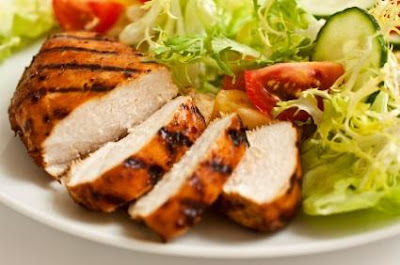 Diet without carbohydrates or with very low-carb can be your choice for weight loss. There are plenty of diets that have the same or a similar concept, the difference is only in the degree of restriction of carbohydrate intake and specific foods. If this diet without carbohydrates for weight loss is your choice, be sure to pre-consult with your chosen doctor or nutritionist! Especially if you have diabetes, chronic diseases and other health problems. This rule applies to any diet for lose weight!!! What the diet without carbohydrates requires? How carbohydrates are a type of macronutrients, which are found in almost every food and drink, limiting the amounts is very important. With industrially processed foods added are huge amounts of carbohydrates, either in the form of starch or sugar. Change of eating habits is the success of each individual, whether it comes to dieting or something else. Rejection of various snacks, candy, meat products from the regular diet is a great success today. We recommend everybody to try it. Avoid industrially processed food!!! Fiber food contains carbohydrates in their natural form!!! The main driver, the engine, the fuel for our body consists of just carbohydrates. Sugars and starches during digestion are divided into simple sugars that are absorbed into the bloodstream, where they are known as glucose (blood sugar). Glucose then enters our cells thanks to insulin. One part of the blood sugar (glucose) body uses for energy, from breathing, walking or running, to any of the activities and the rest of glucose is additionally stored in the liver, other cells, muscles or as is often the case turns into fat. Diet without carbohydrates is based on the theory that insulin is the most responsible for the formation of fat because it metabolizes the sugar. At the same sugar it is then used for energy even for fat. With low carbohydrate intake, the body is encouraged to secrete the insulin in smaller amounts and our bodies are further encouraged to burn reserves of it, e.g. excess fat. In this way we remove excess weight and recover our body. Also as previously mentioned diet without carbohydrates reduces risks for various diseases and health problems. Behind a diet with low or no carbohydrates stands a theory that insulin is responsible for the formation of fat deposits because the body metabolizes the sugar that is used for energy in fat. Proponents of these diets with low-carb just see it as a decisive factor for healthy weight loss. With fewer secretion of insulin, the body consumes stored reserves of fat, which in our case is crucial to losing weight and fat. This concept is present in Atkins diet, which we already wrote about on our blog, so read the text and if you haven’t done it already. If you think that during the course of this child will be constantly hungry, we assure you that it is quite the opposite. Food is not measured and you can eat as much as you want. Melt the kilograms, provided that you follow a diet plan and consume exactly prescribed foods. According to the authors of this diet in six days you should have 5 kg less. NOTE: E.g. one slice of bread or any other carbohydrates in the body, absolutely nullify the former success. Particular discipline is needed! MEAT: you can eat all kinds of meat: turkey, pork, beef, chicken, lamb, venison, goose, duck and the rest. What which should be followed is that the meat should not be fried, while all other options are allowed (grilling, baking, boiled, dried meat and other). Industrial processed meat such as hot dogs should be avoided as well as a lot of sugars. FISH: without any restrictions, all types can be eaten and prepared as you wish. SALADS almost all kinds, green, lettuce, tomato, cucumber, cabbage, fresh peppers, roasted red pepper, salad beetroot, spinach, onion, chicory and seafood salads can be spiced with olive oil, salt, a little pepper, parsley, etc. Allowed is the protein and salads like one with eggs. VARIOUS VEGETABLES: Swiss chard, cauliflower, artichokes, asparagus, kale, leeks, zucchini, eggplant, celery, kohlrabi, broccoli, and carrots should be eaten daily. Potatoes, beans, rice and peas are not allowed! Lemon juice; lemonade is necessary to consume for detoxification of the body. When keeping to these diets you must be especially careful, because too few carbs can lead to ketosis. It can cause dizziness, nausea and bad breath. Diet without carbohydrates in the initial phase achieved a fantastic result which later normalizes. Experts believe that any excessive loss of kg. in a small period of time can lead to serious health problems. Read the text 10% diet if you are interested in a safer and more peaceful dietary regime. With this child, combining meals is left to you. From experience we confirm that this policy is best applied on salads and vegetables if removal of a large number of kilos comes to question. The most important is to know what not to eat and here is a list of foods once again. Diet without carbohydrates - WHAT YOU MUST NOT EAT? Diet without carbohydrates absolutely has no effect if you only taste the chocolate, salty snacks, sweets, ice cream, cakes, etc. be sure to take magnesium, manganese, potassium, zinc, vitamin C and D in the form of effervescent tablets every day to make up for it. Do not start a diet without carbohydrates without prior consultation with a nutritionist or your doctor.